Venezuela will hold national military drills today as President Nicolas Maduro faces growing international pressure to resign amidst one of South America’s worst political and humanitarian crises. 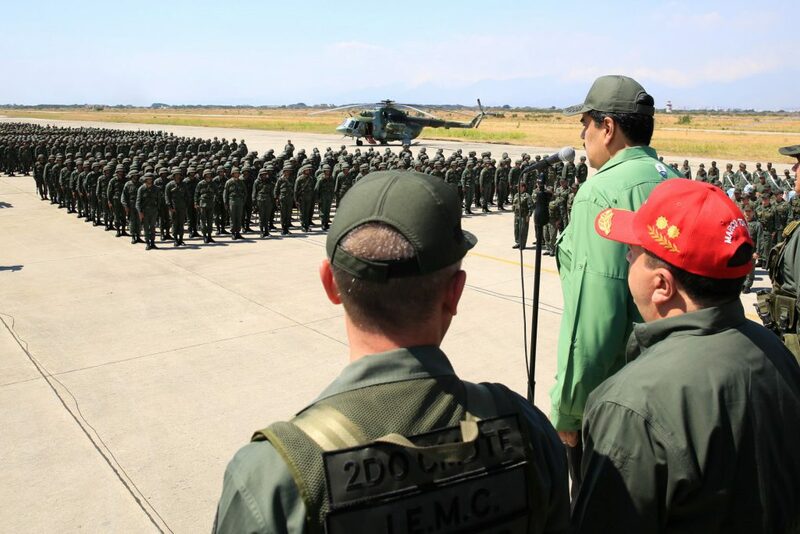 The drills follow US President Trump’s threat to use military force if Maduro does not negotiate over fresh presidential and parliamentary elections. Venezuela is split between dwindling support for Maduro and strong international support for self-declared Interim President Juan Guaido. Maduro is still backed by Russia, which has sent bombers to participate in the drills. Russia claims to know of US invasion plans and that they are the reason why it is sending military assets to Venezuela. Caracas and Moscow are eager to avoid such an outcome, which would potentially jeopardise over $6 billion in crude-for-finance loans that are supporting the Maduro regime and state-owned oil group PDVSA. The US, Europeans and Organisation of American States remain committed to keeping a military option on the table. Continuing oil production will be a key determining factor in Moscow retaining its financial support for the country, especially as he seeks to avoid conditions being attached to negotiations. The escalation of geopolitical tensions therefore increases the chance of increased military posturing by both sides over the medium-term.